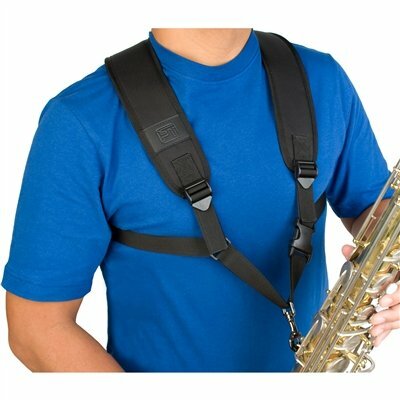 Protec’s Deluxe Padded Large Saxophone Harness (Unisex) is ideal for most saxophone types. Features a 2” wide ballistic nylon, contoured ergonomic design, padded with breathable mesh lining, quick adjustment pull tabs, and easy wear/removal clip, and durable metal trigger snap with rubber coating. Also available in small size (Model # A306SM). Large size measures 17 x 27” (43.2 x 68.6 cm) from top of the shoulder to bottom of hook.